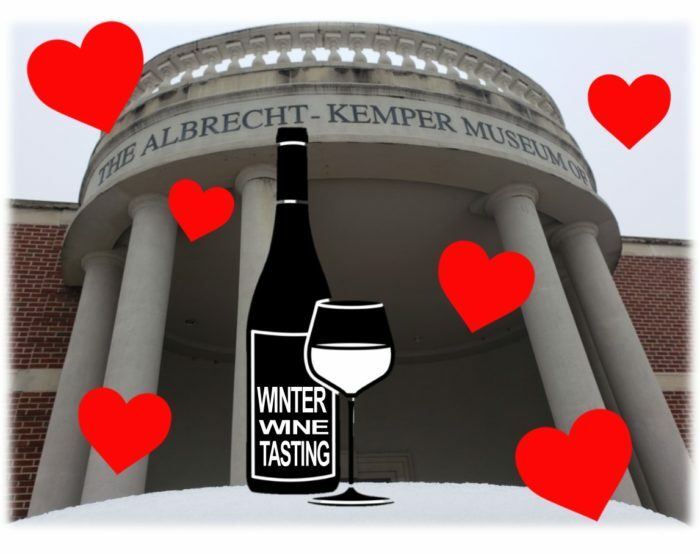 Start your Valentine evening with us at the Albrecht-Kemper Museum of Art on Thursday, February 14th as two of your favorite items are paired on this fun evening out….Chocolate and Wine! A nice selection of both reds and whites will be available for you to sample and Chef Ralph Filipelli will be serving his delicious chocolate truffles. Wines will also be available for purchase. Reservations are encouraged, but we will not turn anyone away. RSVP Today! Call the museum to reserve your spot or sign-up below. The cost is $20/person.